Planetary Rulers of Mansions of the Moon? of the 15 fixed stars. 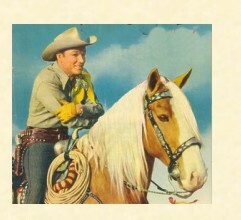 I think it is useful to review the fixed stars and their role in traditional astrology and traditional thought. 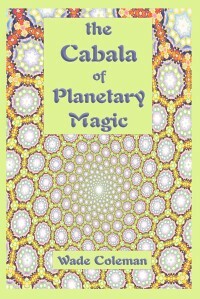 In the traditional schema, the fixed stars are in the 8th sphere which is higher than the 7 planetary spheres. It is the fixed stars that rule over the planets and not vice versa. 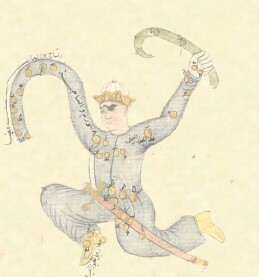 "I have said elsewhere that down from every single star (so to speak Platonically) there hangs its own series of things down to the lowest...Under the celestial Serpent or the entire constellation of the Serpent-bearer, they place Saturn and sometimes Jupiter, afterwards daemons who often take on serpent's form, in addition men of this kind, serpents (the animals), the snake-weed, the stone draconite which originates in the head of a dragon, and the stone commonly called serpentine...By a similar system they think a chain of beings descends by levels from any star of the firmament through any planet under its dominion." Ficino, Three Books on Life, Bk. III, Chap. 14, Kaske & Clarke trans, p. 311. The confusion seems to have arisen from Ptolemy's Tetrabiblos where in Bk I ch 9 Ptolemy discusses the nature of the fixed stars and analogizes them to the planets for ease of understanding. 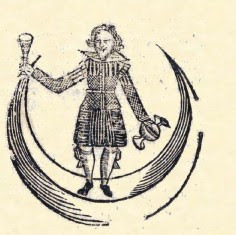 For example, "The stars in the head of Aries, then, have an effect like the power of Mars and Saturn, mingled; those in the mouth like Mercury's power and moderately like Saturn's...." Tetrabiblos Robbins, trans at 47. All Ptolemy is saying is that you can better understand the nature of the fixed stars which are less familiar than the planets, by understanding how they are similar to a particular planet or mixture of planets. The fixed stars are not exactly like the planets or under the rule of the planets. Even if Ptolemy says that a particular fixed star is like Saturn plus Mercury that doesn't mean that the fixed star = Saturn + Mercury or that it rules similar things or you can use Saturn or Mercury images for it or Saturn or Mercury ruled things for that fixed star. This is just a way understand by analogy roughly what the star is like. Each fixed star has its own nature, and in Hermes on the 15 Fixed Stars and in Cornelius Agrippa's Three Books of Occult Philosophy we have lists of the herbs, stones, sigils and particular properties of each star plus images and rulerships unrelated to their planetary nature. So don't misunderstand Ptolemy and planetary nature listings of fixed stars, eg as listed in Agrippa! The fixed stars rule the planets and the nature of the planets and fixed stars, while having some similarities, can only be roughly equated. Take planets and fixed stars on their own terms! I had an interesting question about the planetary rulers of the Mansions of the Moon. In Vedic astrology the 27 nakshatra do have planetary rulers, but this is based on a planetary period sequence, similarly to firdaria. The sequence is Sun, Moon, Mars, North Node, Jupiter, Saturn, Mercury, South Node and Venus. A number of traditional Western sources do give planetary rulerships for the Mansions, but each one is different, some use the Chaldean Order, some the days of the week order. A majority of traditional sources on the Mansions do not provide planetary rulerships and those sources that do, don't agree on the system. The Liber Lunae, Sloane Ms 3826, a mid-Sixteenth Century English source gives a strange sequence of planetary rulerships, that doesn't follow the Chaldean Order or the days of the week. The Liber Lunae Mansions are contained in my Mansions of the Moon Book. I would have to ask why logically the Mansions of the MOON would even have planetary rulers? Aren't these the Moon's Mansions? This reminds me of the confusion over planetary rulership of fixed stars. Because Ptolemy in Tetrabiblos says that fixed stars "have the nature of" various planets, this has been taken as meaning that the planets rule these fixed stars. Again, logically the fixed stars are in a higher sphere and in fact the fixed stars "rule" the planets. My view is that having planetary rulerships for everything is like the modern Aries = Mars = 1st house. It is collapsing the nuances of traditional astrology and losing the underlying structure. Still, there is some support in traditional sources, the problem is which source do you choose and then what does it mean if Mars, for example, "rules" the first mansion? I can see that the designers of Solar Fire were confused because they insist on giving the location of all the planets in Mansions. We can therefore puzzle over the meaning or to my mind, the lack of meaning, of Saturn in the 5th Mansion. I occasionally get questions about the different editions of the Complete Picatrix. 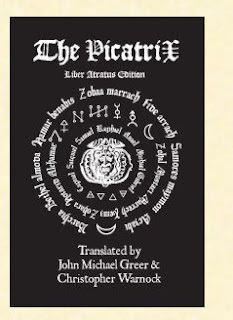 Ok, all editions of Picatrix have the same complete translation of Picatrix. The only difference is that they look different with different fonts, and illustrations and we have added some additional pages from sources other than Picatrix to each edition. It's a judgment call. Choices can cause confusion! Still, print on demand makes it easy to provide different editions since they are just sitting on a server somewhere until the order comes in, you don't have to do a print run and have physical copies sitting in a warehouse. It's kind of cool, I think to have different editions because different people like different stuff. Lots of people like the "goth" Liber Atratus (Black Book) It has black letter fonts and woodcut engravings, plus a passage on astrological poisons from Ibn Washiyya's Book of Poisons. It's available directly from the Renaissance Astrology website, but you can also get the Liber Atratus on Amazon. On the other hand, the Liber Viridis (Green Book) is fairly fab, very loopy Renaissance calligraphic fonts, lots of elaborate foliage ornamentation with a Green Magic focus. 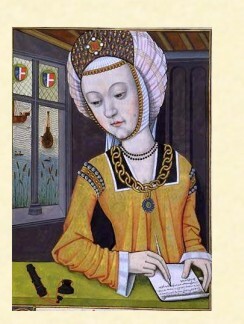 It's available directly from the Renaissance Astrology website. Finally the Liber Rubeus (Red Book) this could be termed Liber Sanguinis "the Book of Blood" this shares the "goth" formatting of the Liber Atratus, but adds a macabre passage from the Arabic Picatrix about the creation of a divinatory head. This edition is only initiated when the Moon is in the 5th Mansion. was time for a Renaissance Astrology Facebook page. up to, but particularly giving good elections for you'all to use. So good ahead and like the page! Let's get moving!